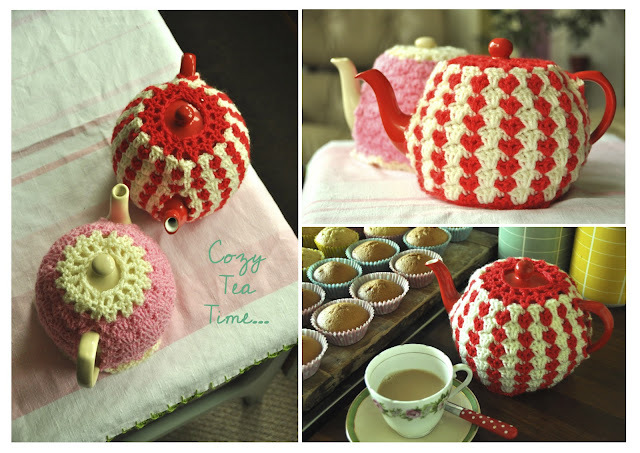 I found a crochet tea cozy pattern, in a new magazine called The Simple Things. 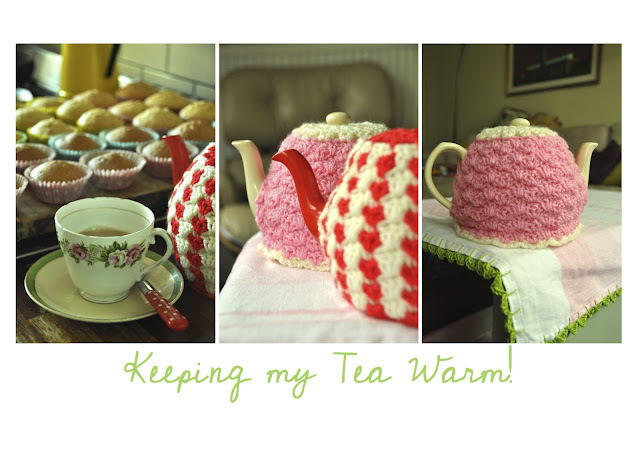 So easy to make and gorgeously retro. In the run up to Nina's 1st birthday party, I attended as many car boot sales as possible and entered each and every charity shop in search for mix and match tea cups and saucers. For a Mad Hatters Tea Party. It was such fun... and I never need worry about breakages, as... who cares, they are all odd! 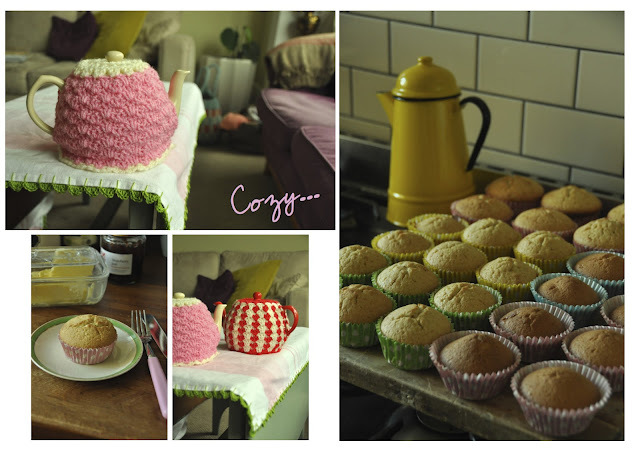 Then a few days before the big One, I baked about 60 cupcakes (see above). In the meantime, I'm off to drink a warm cup of Posh Tea.